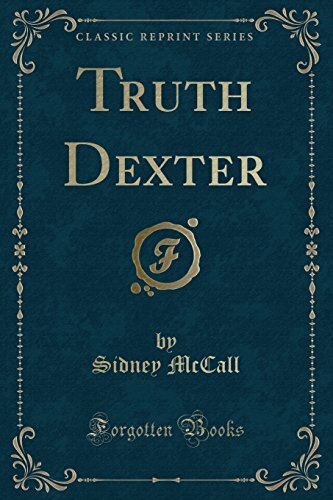 The novel, Truth Dexter, was composed substantially as at present published, during the year 1897. The time chosen for its action was the close of President Cleve land's second administration. The conversations of the middle chapters, with Lord Gayrock, embody opinions which were already strongly felt by the author before the war with Spain and more recent complications in the East made some of them appear strikingly prophetic. Though the whole work has since undergone much re vision in detail, it has been thought best to leave the political discussion in its original form; for any attempt to strengthen the arguments of Craighead by reference to the exciting events of the last three years could only have obscured the action of the story. The author pre fers the book to remain a picture of feelings and relations really subsisting between North and South just before that crisis in our history which brought the two sections, let us hope forever, into a common enthusiasm for a.